Following on from last summer’s smash-hit Touch, Vicky Jones returns with her award-winning debut play. Vicky Jones’ ‘astounding and astonishing’ (Telegraph) debut won the Verity Bargate Award in 2013. 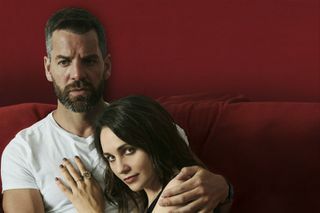 Back at Soho Theatre this summer for a limited run, starring Tuppence Middleton (War and Peace and Netflix’s Sense8), John Hopkins (Midsomer Murders and Poldark) and Julia Sandiford (The Woman in the Moon – Sam Wanamaker Playhouse and Silent Witness). The One is not available to book, please sign up to our newsletter for updates and offers on forthcoming and available shows. Suitable for 16+ Contains scenes of a strong sexual nature.